This post - I admit - should have been the last entry of Citrus Week, which against all odds ended after three, pathetic, episodes. WHL (= What a Hard Life). Clean fennels, cut them in half and slice them not too thin. Season with salt, pepper, olive oil and the juice of the orange, and set aside. Toast pine nuts in a nonstick pan for a few minutes. Mix few tablespoons of bread crumbs with the chopped fennel greens and grated orange zest. 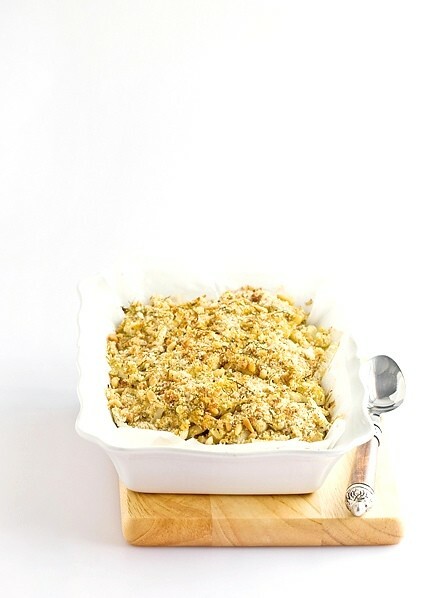 Grease a baking sheet with a little olive oil and sprinkle the bottom with bread crumbs. Make a layer with the prepared fennel, pour half of the liquid over it, sprinkle with pine nuts, raisins and more bread crumbs. Cover with the rest of the fennel and the remaining juice, another handful of pine nuts, plenty of bread crumbs and sprinkle with olive oil (don't put the raisins on top because they'll burn and become bitter). Bake at 400 for about 45-60 minutes until the fennel is tender. If it starts browning too much while baking, cover the pan with aluminum. Serve warm, even better if the next day.